Cut round corners on covers, business cards, postcards and more with the RC-7 Round Corner Cutter. 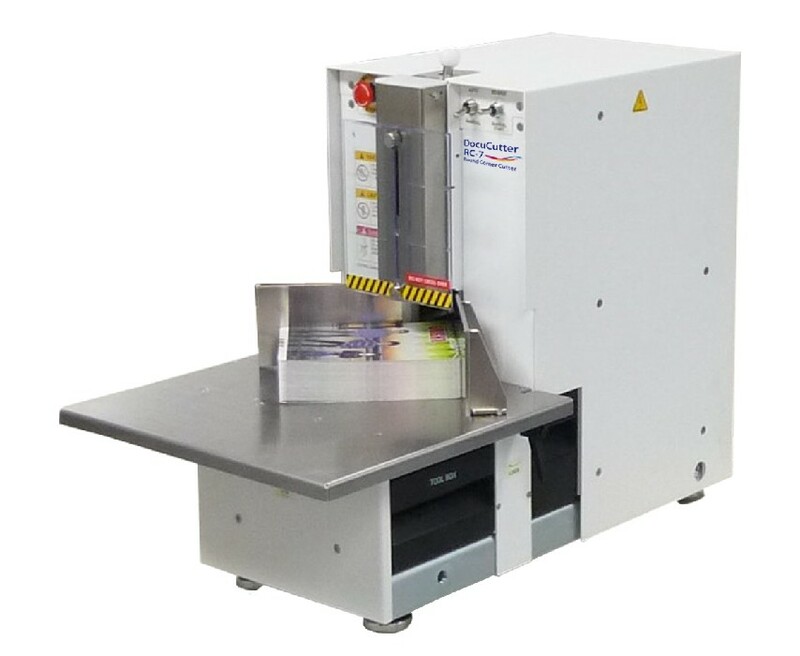 The RC-7 is a heavy-duty, electric corner rounding machine with the capability to handle up to a 2.75″ stack at a time. It features a detachable pressing bar, which helps secure documents for the rounding process and detaches for easy replacement of knives. Engineered for easy operation, the corner cutter can be operated by either a foot pedal or manual switch. The RC-7 rounds corners at a cycle speed of up to 46 cuts per minute and is perfect for any high production environment. The RC-7 is designed with a protective safety cover that will keep fingers out of harm’s way during operation.